How do I restore backedup world? I used MC's 1.13 built-in backup, but there is no way to restore it. I have already tried to just unzip and place the world in save that don't work. 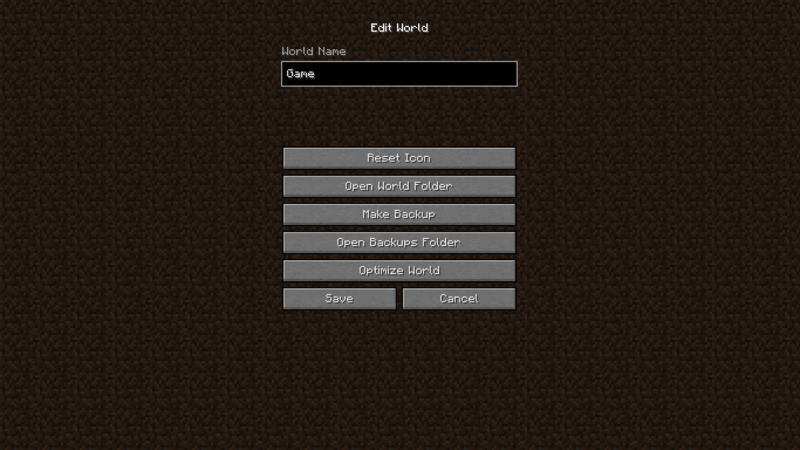 Update 1: Try restoring a backup world or suggestion something I have not tried. Unzipping the backup file to the saves folder. STOP SUGGESTING THIS, please. It doesn't work like that MC don't just zip the world. The backup folder format is not the same as the world folder format. Extract this to the save folder. That's the new 1.13 world format. AS I SAID I DID THAT! It don't work that way. People keep telling you to unzip because that is what you NEED to do. The format is identical, however your computer does not seem to be respecting the folder structure when unzipping, try using a different program to unzip. If you want help with the issue, tell us that you had problems unzipping, not that we are clearly wrong because you either unzipped wrong or the program you are using did.